Ketron CLASSIX™ LSG PEEK stock shapes are produced from Invibio® PEEK-CLASSIX White resin. This material has a maximum body contact duration of 30 days and exhibits a unique combination of mechanical properties, temperature and chemical resistance. The composition of the Invibio PEEK-CLASSIX White resin complies with the regulations that apply in the Member States of the European Union (Directive 2002/72/EC, as amended) and in the United States of America (FDA) for plastic materials and articles intended to come into contact with foodstuffs. Ketron CLASSIX™LSG PEEK stock shapes have also been successfully type tested for their compliance with both United States Pharmacopeia (USP) and ISO 10993-1 guideline requirements for Biocompatibility Testing of Materials, and they come with full traceability from resin to stock shape. These features, added to an excellent sterilizability by means of steam, dry heat, ethylene oxide, plasma and gamma irradiation, make Ketron CLASSIX™ LSG PEEK stock shapes very suitable for applications in the medical, pharmaceutical and biotechnology markets. Ketron® LSG PEEK stock shapes (colours: natural, black) are produced from selected batches of PEEK polyetheretherketone resin. This material exhibits a unique combination of mechanical properties, temperature and chemical resistance. The composition of the resin used for the production of the Ketron LSG PEEK stock shapes complies with the regulations that apply in the Member States of the European Union (Directive 2002/72/EC, as amended) and in the United States of America (FDA) for plastic materials and articles intended to come into contact with foodstuffs. This specially developed grade is a unique engineering PEEK based composite which offers a high performance profile due to its woven carbon reinforced structure. Perfect for reducing weight in critical instruments, Ketron LSG CC PEEK has a higher specific strength (strength to weight ratio) than Stainless Steel, Aluminum or Titanium. Its key properties include superior mechanical strength and stiffness at elevated temperatures, outstanding friction and wear resistance, as well as excellent performance in chemical an irradiated environment. LSG PPSU stock shapes are produced from selected batches of a specific Radel R polyphenylsulfone resin. 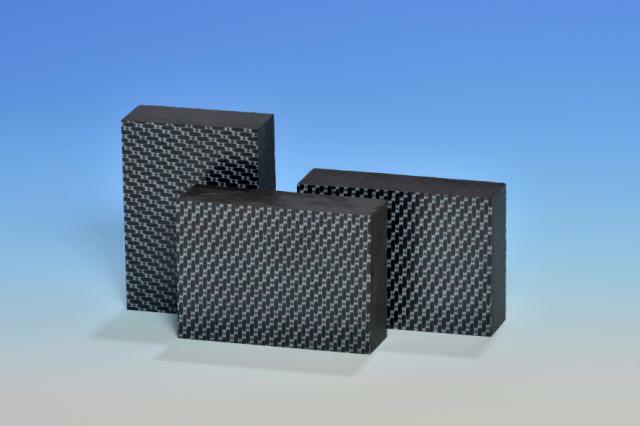 This material offers a better impact strength and chemical resistance than Duratron® LSG PEI and LSG PSU and it also has superior hydrolysis resistance as measured by steam autoclaving cycles to failure. The composition of the resin used for the production of the LSG PPSU stock shapes complies with the regulations that apply in the Member States of the European Union (Directive 2002/72/EC, as amended) and in the United States of America (FDA) for plastic materials and articles intended to come into contact with foodstuffs. LSG PPSU stock shapes have also been successfully type tested for their compliance with both United States Pharmacopeia (USP) and ISO 10993-1 guideline requirements for Biocompatibility Testing of Materials, and they come with full traceability from resin to stock shape. These features, added to an excellent sterilizability by means of steam, dry heat, ethylene oxide, plasma and gamma irradiation, make LSG PPSU stock shapes very suitable for applications in the medical, pharmaceutical and biotechnology markets. LSG PSU stock shapes are produced from selected batches of a specific polysulfone resin. This polymer shows a combination of very good mechanical, thermal and electrical properties combined with a good hydrolysis and chemical resistance. The composition of the resin used for the production of the LSG PSU natural stock shapes complies with the regulations that apply in the Member States of the European Union (Directive 2002/72/EC, as amended) and in the United States of America (FDA) for plastic materials and articles intended to come into contact with foodstuffs. LSG PSU natural stock shapes have also been successfully type tested for their compliance with both United States Pharmacopeia (USP) and ISO 10993-1 guideline requirements for Biocompatibility Testing of Materials, and they come with full traceability from resin to stock shape. These features, added to a good sterilizability by means of steam, dry heat, plasma, ethylene oxide and gamma irradiation, make LSG PSU natural stock shapes very suitable for applications in the medical, pharmaceutical and biotechnology markets. Mitsubishi Chemical Advanced Materials® LSG PC stock shapes are produced from selected batches of a specific non-UV-stabilized polycarbonate resin. This polymer shows a combination of good mechanical, thermal and electrical properties combined with a good chemical resistance. The composition of the resin used for the production of the LSG PC stock shapes complies with the regulations that apply in the Member States of the European Union (Directive 2002/72/EC, as amended) and in the United States of America (FDA) for plastic materials and articles intended to come into contact with foodstuffs. LSG PC stock shapes have also been successfully type tested for their compliance with both United States Pharmacopeia (USP) and ISO 10993-1 guideline requirements for Biocompatibility Testing of Materials, and they come with full traceability from resin to stock shape. These features, added to a good sterilizability by means of ethylene oxide, plasma and gamma irradiation, make LSG PC stock shapes suitable for applications in the medical, pharmaceutical and biotechnology markets. Duratron® LSG PEI stock shapes are produced from selected batches of a specific Ultem polyetherimide resin. This polymer shows a combination of outstanding mechanical, thermal and electrical properties combined with a good hydrolysis and chemical resistance. The composition of the resin used for the production of the Duratron LSG PEI stock shapes complies with the regulations that apply in the Member States of the European Union (Directive 2002/72/EC, as amended) and in the United States of America (FDA) for plastic materials and articles intended to come into contact with foodstuffs. Duratron LSG PEI stock shapes have also been successfully type tested for their compliance with both United States Pharmacopeia (USP) and ISO 10993-1 guideline requirements for Biocompatibility Testing of Materials, and they come with full traceability from resin to stock shape. These features, added to a very good sterilizability by means of steam, dry heat, ethylene oxide, plasma and gamma irradiation, make Duratron LSG PEI stock shapes very suitable for applications in the medical, pharmaceutical and biotechnology markets. Acetron® LSG (POM-C) stock shapes are produced from selected batches of polyacetal copolymer resin. This engineering plastic combines good mechanical strength, stiffness, impact strength, chemical resistance, dimensional stability and friction and wear properties with an excellent machinability. The compositions of the resins used for the production of the Acetron LSG stock shapes comply with the regulations that apply in the Member States of the European Union (Directive 2002/72/EC, as amended) and in the United States of America (FDA) for plastic materials and articles intended to come into contact with foodstuffs. Acetron LSG stock shapes have also been successfully type tested for their compliance with ISO 10993-1 guideline requirements for Biocompatibility Testing of Materials, and they come with full traceability from resin to stock shape. These features, added to the availability of different colors (natural / black / yellow / red / blue / green / brown) which allow for easy differentiation between similar parts (e.g. different sizes of trial implants), make Acetron LSG stock shapes very suitable for applications in the medical, pharmaceutical and biotechnology markets. cycles. It is highly resistant to cleaning agents, disinfectants and various solvents. 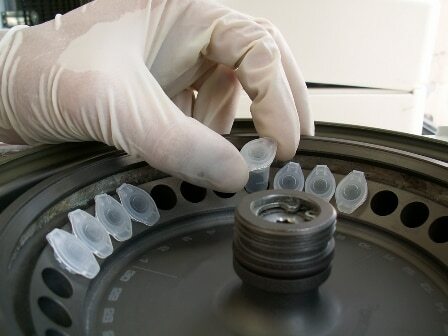 Typical applications for Proteus® LSG HS PP include surgical trays, caddies and instrument components. Under the label of Mitsubishi Chemical Advanced Materials’s Life Science Grades (LSG), Proteus® LSG HS PP shapes are tested and certified for biocompatibility per ISO10993-5 to ensure quality throughout the entire manufacturing process. This offers the designer increased safety, approval facilitation, as well as reduced cost and time to market. The material is available as plates in white and black (standard colors); other colors can be produced on a make to order (MTO) basis.